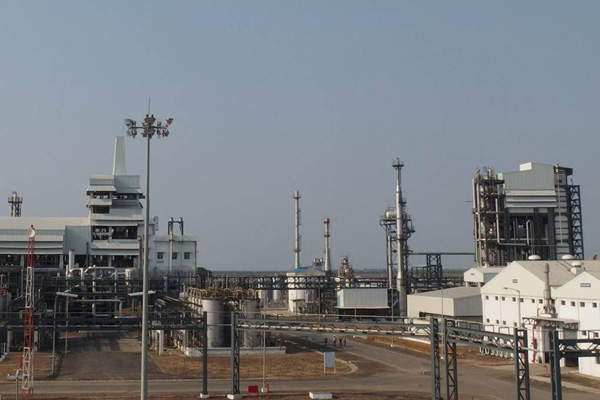 BASF opened its chemical complex in Dahej, Gujarat, in October 2014. The complex was constructed with an investment of INR10bn (approximately $180m). The Dahej complex of BASF features polyurethane manufacturing facilities, as well as production facilities for care chemicals and polymer dispersions. 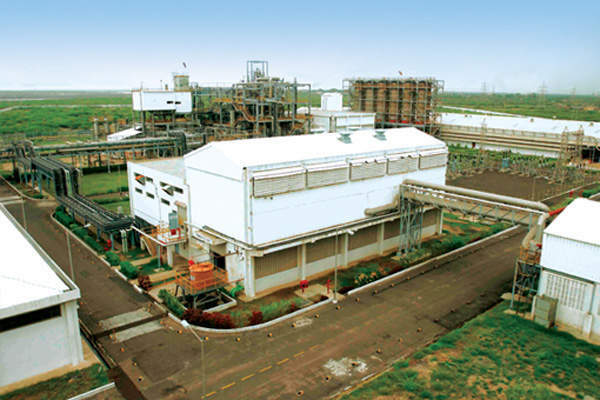 BASF India’s chemical production complex at Dahej, Gujarat, started operations in October 2014. At approximately INR10bn ($180m), it is the biggest investment made by BASF in India. The complex is located at the 453km² Dahej Petroleum, Chemicals and Petrochemicals Investment Region (PCPIR). Planning for the project started in mid-2011, the investment decision was made in April 2012 and construction activities were completed in 2014 with zero lost-time incidents. The chemical complex integrates polyurethane manufacturing facilities, as well as production facilities for care chemicals and polymer dispersions to cater to the growing appliances, footwear, automotive, construction, coatings, paper and home and personal care industries. The project has generated 200 direct jobs and 300 indirect jobs, with approximately 50 more direct jobs expected to be created. It was implemented targeting largely the primary customers located in northern and western India, as well as Asia Pacific. The polyurethane plant produces BASF’s proprietary Elastollan thermoplastic polyurethane (TPU), Cellasto microcellular polyurethane components for automotive NVH (noise, vibration and harshness) parts, and other polyurethane products applied primarily in cold and heat-insulation applications. Koch Nitrogen broke ground on a $1.3bn expansion of its fertiliser plant located east of Enid, Oklahoma, US, in October 2014. 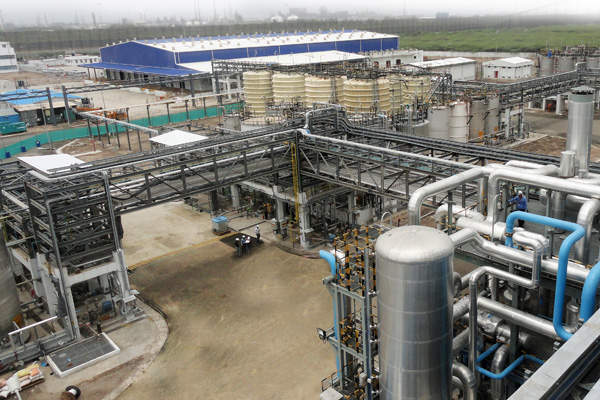 The plant also integrates production facilities for precursors, such as polyetherols and polyesterols, and an MDI (methylene diphenyl diisocyanate) splitter, the first of its kind in South Asia, for processing crude MDI. The care chemicals facility at the site, which integrates the company’s first sulphation plant in the country, produces surfactants for home and personal care. The polymer dispersions plant, which complements the company’s existing dispersions facility in Mangalore, produces BASF’s proprietary Acronal and Styrofan products for architectural coatings, adhesives and construction, Styronal and Basonal for paper coating, and Basoplast for sizing. The project involved the construction of associated infrastructure, including non-plant buildings, a demineralised water plant, a boiler, a cooling tower, a thermal oxidiser, a compressor, a tempered water package, a wastewater treatment plant, a 66KV switchyard, a fire and gas system, storage facilities, utilities and offsites. The engineering, procurement and construction (EPC) contractor for the project was Toyo Engineering India (Toyo-India). "At approximately INR10bn ($180m), it is the biggest investment made by BASF in India." The front-end engineering and design (FEED) study for the project was performed by Flour, who also provided EPC management services for the associated facilities, utilities and offsites. BASF India was originally incorporated as R. A. Cole in 1943 and was involved in the production of expandable polystyrene (thermocole). The company opened its first production site at Thane in 1961. Its biggest production site, located in Mangalore, produces performance chemicals (leather and textile chemicals), dispersions and paper chemicals, automotive and coil coatings, and construction chemicals. The company employs more than 2,254 people at nine production sites in India. It registered sales of €1.02bn ($1.4bn approximately) from Indian customers in 2013. BASF India plans to invest €10bn (approximately $12bn) to improve its business in Asia Pacific between 2013 and 2020.